At HERITAGE WOODCRAFT we build that special piece to your design. This way you know it will fit that special spot you have always wanted to fill and could not find the right piece . With HERITAGE WOODCRAFT you are always welcome to come into are shop and see your special piece being built. We start each project by selecting each foot of lumber for that special piece and only lumber that has been dried to furniture grade moister content is used . This insures less chance of cracking for years to come. 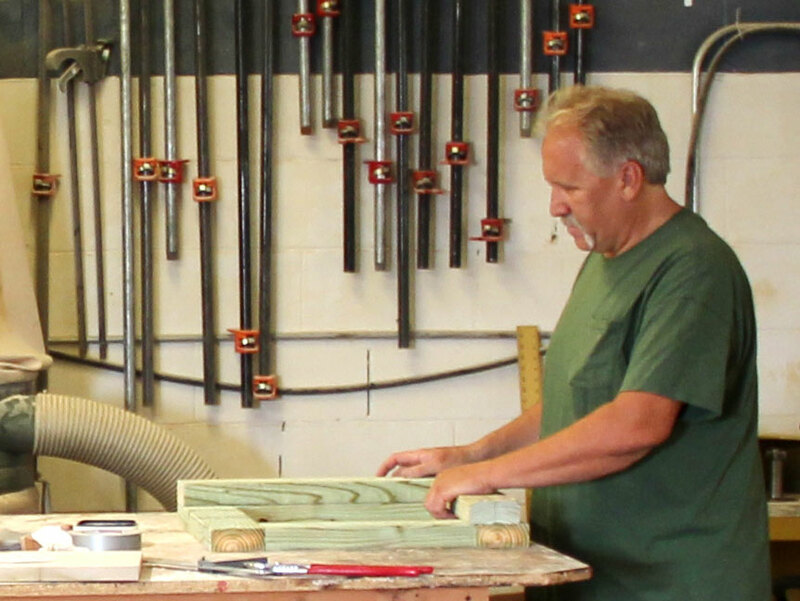 Heritage Woodcraft owner, Denny Howell, is a third generation wood worker with over 30 years experience in the trade. He learned the skill from his father Larry, when he began working in his father’s shop back in 1986. In 2014, Denny created Heritage Woodcraft, and purchased the building where his showroom currently stands. His father still drops in to help him out from time-to-time.